GoXtra News: SuperSport United FC and Engen bring top-flight football to the Wentworth community! SuperSport United FC and Engen bring top-flight football to the Wentworth community! Engen plays host to their newly sponsored Premier Soccer League team, SuperSport United FC for training and signing session. The Pretoria based outfit will go through their game build up drill routine at Engen Refinery’s Sports Complex in Wentworth, Durban on 20 September at 17h00 ahead of their clash against Durban locals, AmaZulu FC on Saturday, 21 September. The afternoon will see players such as George Maluleka, Bevan Fransman, Ronwen Williams, Mame Niang and others interact with Engen staff and the youth of the Durban South Basin and which will include an autograph and photo sessions before moving out onto the sport complex’s field to hone their pre-match preparation. Matsatsantsa intend to remain top of the log by securing wins in their upcoming fixtures against Moroka Swallows and AmaZulu. With Head Coach Cavin Johnson confident in his team’s current state, the mentor said they could not afford to rest on their laurels, and stressed the need to continue their hard work, in order to maintain the good form which has seen the team claim most of the points on offer since the start of the new campaign. “We have started well and it’s imperative that we carry that form into our next couple of games, first against Moroka Swallows and AmaZulu on Saturday evening, says the Matsatsantsa coach. 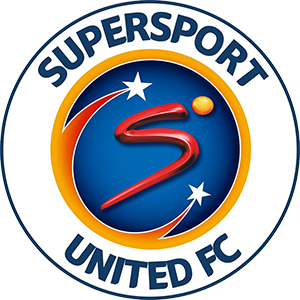 “We are honoured to have SuperSport United FC training at our sport complex facility and engage with our excited staff and local supporters. It is important for our organisation to share this special occasion with the community. We invite all to come along and experience the afternoon with us.” commented Thandeka Cele -Engen Refinery: Public Affairs Manager.